The Mummy (1932). 73 minutes. Directed by Karl Freund. 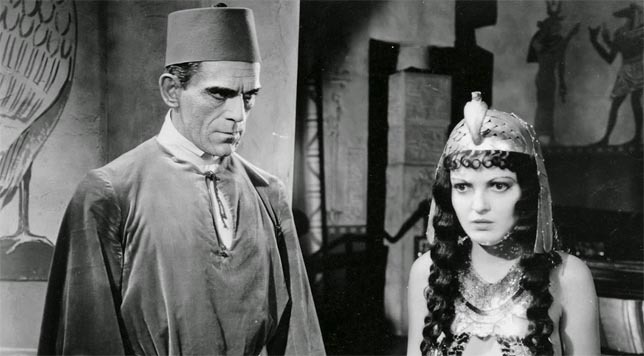 Starring Boris Karloff (as Ardath Bey/Imhotep), Zita Johann (as Helen Grosvenor/Princess Ankh-es-an-Amon), David Manners (as Frank Whemple), Arthur Byron (as Sir Joseph Whemple), Edward Van Sloan (as Dr. Muller), Bramwell Fletcher (as Ralph Norton), Noble Johnson (as the Nubian), and Leonard Mundie (as Professor Pearson). Maniac (1934). 51 minutes. Directed by Dwain Esper. Starring Bill Woods (as Don Maxwell), Horace B. Carpenter (as Dr. Meirschultz), Ted Edwards (as Buckley), Phyllis Diller (as Mrs. Buckley), Thea Ramsey (as Alice Maxwell), Jenny Dark (as Maizie), Marvel Andre (as Marvel), Celia McCann (as Jo), and John P. Wade (as embalmer). Cat People (1942). 73 minutes. 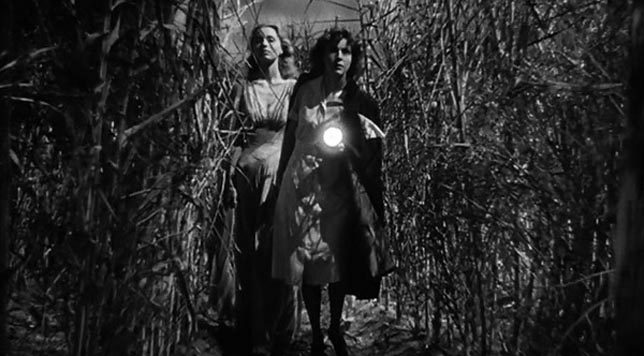 Directed by Jacques Tourneur. Starring Simone Simon (as Irena Dubrovna Reed), Kent Smith (as Oliver Reed), Jane Randolph (as Alice Moore), and Tom Conway (as Dr. Louis Judd). Produced by Val Lewton. Freaks (1932). 62 minutes. Directed by Tod Browning. Starring Harry Earles (as Hans), Daisy Earles (as Frieda), Olga Baclanova (as Cleopatra), Henry Victor (as Hercules), Wallace Ford (as Phroso), and Leila Hyams (as Venus).